Now you can fill your bottle before you shoot to a full 300 bar. 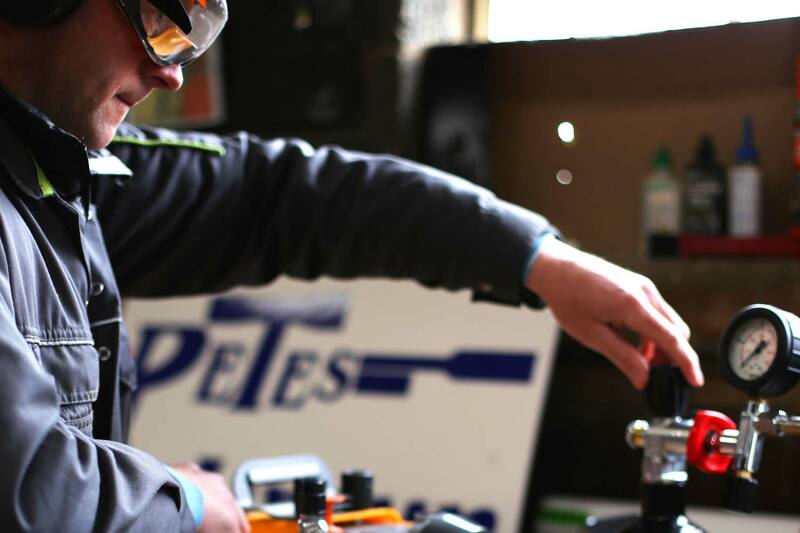 Pete can fill your dive cylinder to a full 300 bar using the farms new state of art ‘Bauer’ compressor. This compressor gives you a full 300 bar charge, not to be confused with the vast majority of dive shops who often only fill to 232 bar. Pete can normally do fills there and then for people shooting however if he can’t then Pete’s own bottle is available to keep you shooting and if Pete is busy on the farm you can leave your bottle on site and it will be filled in time for your next visit. Please call before making a special journey to get a bottle filled as Pete might be out on the fields. Please double the price for a completely empty or brand new bottle. Note: Your cylinder needs to be a 300 bar cylinder and have a current valid certificate of compliance. If you bought it new then it will be compliant for surface use (i.e. for air rifles) for 5 years from the date of manufacture stamped on the side of the bottle.